All year round, quality childcare for children aged 0—5 years. 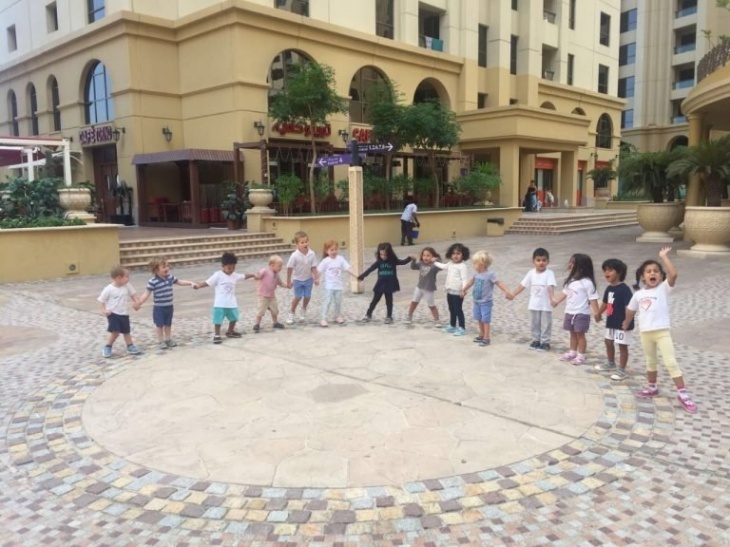 The nursery offers part-time and full-time education, for Babies, Toddlers and Foundation, as well as flexible crèche, drop off childcare, fun edutainment classes and babysitting services. Family and Friends nursery has been established since 2011. There is an exceptional reputation for providing excellent care and education to children aged between 4 months and 5 years. Children will learn through play and first-hand experience and be offered the opportunity to participate in a variety of experiences that will enhance their skills and knowledge. Kids will be valued as individuals and always have access to a meaningful, focused, enjoyable curriculum. Is to provide a warm, friendly, welcoming and secure environment where children can thrive. The main intention is to guide children to reach the important skills they need for life. These skills include learning independence, being kind and respectful of others and develop qualities such as perseverance, confidence, enthusiasm and tolerance. To be the leader in high standard education in the community. To all and to work in partnership with parents to develop mutual respect, honesty and openness. Credit: Images of Family & Friends Nursery.